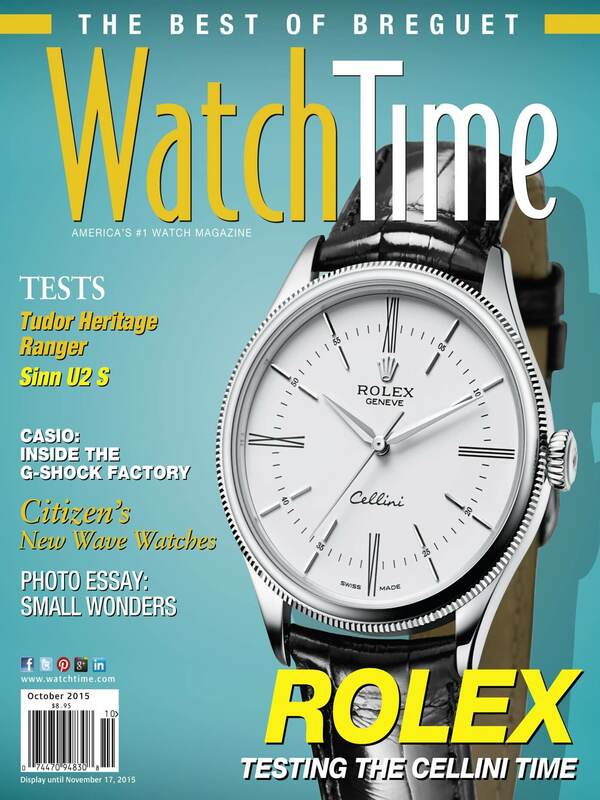 WatchTime Magazine has an article about G-Shock titled “G Wizards” by Craig Hawes in the October 2015 issue. The author visits the Hamura Research and Development Center and the mother factory Yamagata Casio, home of the Premium Production Line. The article has some interesting details about the GPW-1000 Gravitymaster and MT-G Series, and also an amusing first hand account of testing the effectiveness of Alpha Gel. Hawes also touches on the history of G-Shock, its popularity and cult following, and describes the barrage of tests G-Shock watches are put through including a strap-stretching test for carbon fiber reinforced bands. He takes a close up look at the Yamagata factory with some interesting observations about the amount of human inspection and activity that goes on during the production process. Perhaps the most exciting piece of information is that Casio plans to expand the Yamagata factory and open it to the public. The article also has many exclusive photos from the factory. Overall it’s a very positive look at G-Shock and Yamagata Casio and an interesting read for any G-Shock fan. 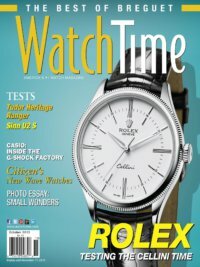 The magazine can be found at newsstands or purchased online for $8.95 and downloaded as a PDF at WatchTime.com.